Gemma is Arts Connect’s Team Administrator, responsible for keeping the office running smoothly and coordinating the organisation’s varied programme of events. She also supports the organisation’s communications activities. 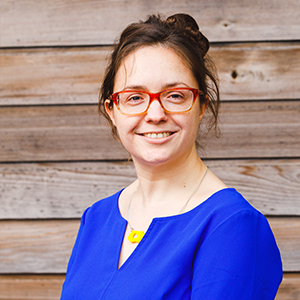 Gemma is an experienced arts administrator – before joining Arts Connect she spent a decade with a charitable arts organisation, supporting the development and delivery of education programmes for young people across Warwickshire. Gemma’s passion for cultural education extends to life outside the office walls – her career began in freelance journalism, profiling pathways into the West Midlands cultural industries for Channel 4, and she continues to shine a light on the region’s cultural offer as a contributor to a number of arts-based publications. When she’s not writing you’ll probably find her at the theatre.